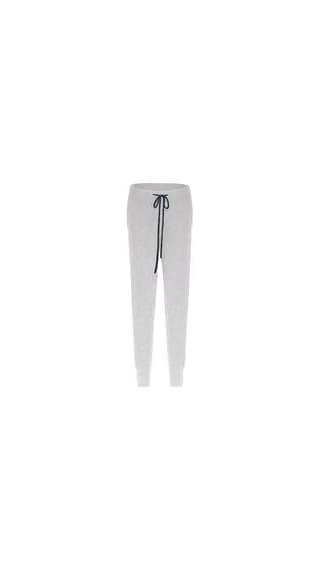 Luxurious 100% cashmere lounge pant in soft grey. Button ankle cuff detail in subtle stripe red, blue and darker grey. Drawstring waist.